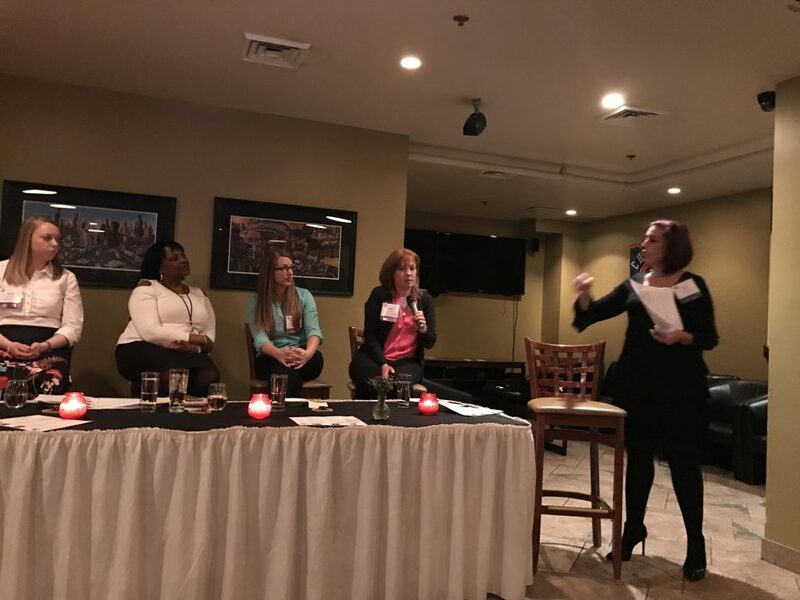 Work-life balance, prioritization, setting boundaries and adapting to change were key topics at the recent Professional Development Discussion Panel at the Society of Bakery Women (SBW) Annual Dinner, held in Chicago on Saturday, February 25. The networking dinner also provided a great opportunity for the SBW to recognize the 42 years of service in the baking industry veteran of Laurie Gorton, Executive Editor, Baking & Snack magazine. 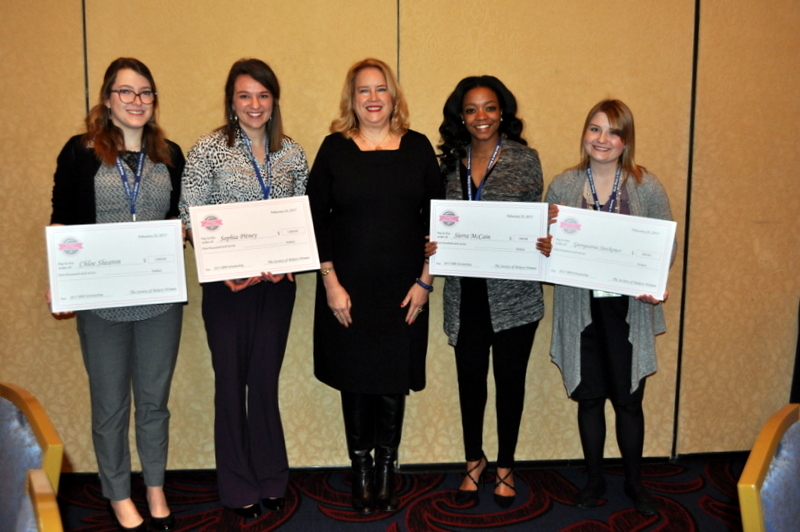 Thanks to SBW’s generous sponsors AB Mauri; Watson, Inc.; Corbion; Delavau; Kudos Blends; DSM; Mother Murphy’s; Lallemand; Dupont; ABA; Gold Coast Ingredients, Inc ASB; BEMA; The Retail Bakers of America; and BAKERpedia, for the first time in its history the SBW awarded four scholarships to KSU students which were awarded during the ATBI Breakfast at the ASB BakingTech Conference. $500 – Sierra McCain, Georgeanna Stockemer (freshman) both studying bakery science. The purpose of SBW is to create a network for women in the baking industry – providing opportunities to gather, share their strategies and supply resources to help advance the position of women in the baking industry. SBW members share personal and professional stories from their experiences in the baking industry and offer advice and mentoring for students entering the baking and milling industries. SBW welcomes new members and is always seeking additional corporate sponsorship to support its activities and annual scholarship. For additional information, please contact SBW President Lee Sanders at lee.sanders@bakerywomen.org or SBW Secretary Michelle Briggs at michelle.briggs@bakerywomen.org. To learn more about the Society of Bakery Women please visit the website at www.bakerywomen.org. Join the Society’s Linked In Community of over 5,100 members from 49 countries at www.linkedin.com.